Zinc (Zn) is an important element of nutritional significance to humans, animals, and plants. The impact of zinc oxide nanoparticles (ZnONPs) foliar spray at four different concentrations, viz. 0, 0.5, 1.0 and 5.0 g L−1 at 15-day interval on rice crop cv. 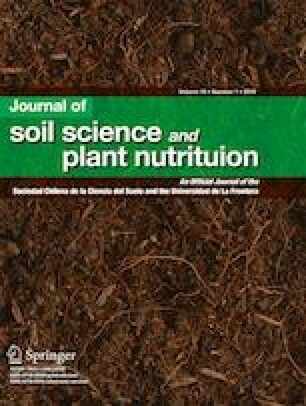 PR-121 grown in Zn-deficient soil was assessed in a pot study for remediation of Zn deficiency and enhanced Zn fortification. The soil samples were analyzed for chemical properties, culturable microbial counts, dehydrogenase activity and plant vegetative characteristics, yield, and nutrient profile while the leaf samples were analyzed by scanning EM imaging and SEM-EDS techniques. The leaf surface after foliar spray showed the presence of ZnONPs on the leaf lamina near stomatal openings. The foliar application of ZnONPs (@ 5.0 g L−1) significantly improved the growth and yield parameters. However, root characteristics attained the highest values at 1.0 g L−1 ZnONPs application. The soil microbial counts and enzyme activities such as viable cell counts and dehydrogenase activity were observed to be the highest at 5.0 g L−1 ZnONPs treatment. Overall, ZnONPs treatments successfully reverted the Zn-deficiency symptoms besides enhancing the plant Zn contents, though the response was concentration dependent. These findings indicate that ZnONPs can be effectively used for remediation and Zn fortification in rice cultivated under low soil Zn concentrations. This study was funded by the Indian Council of Agricultural Research, New Delhi, under Nanotechnology Platform.